The calling of the saints is not based on religious affiliation. It comes from their relationship with their spiritual fathers. – Fathers cover with prayer their spiritual sons – 2 Timothy 1:3 “I thank God … constantly mentioning you in my prayers, night and day”. – Fathers are very attached to the sons – 2 Timothy 1:4 “…and, remembering your tears, I long to see you, so I can be filled with joy”. – Fathers impart gifts and abilities to the sons, encouraging them to ignite them in the work the Lord has called them to – 2 Timothy 1:6 “For this reason I remind you to stir up the gift of God which is in you through the laying on of my hands. – Fathers encourage the sons to suffer for the Gospel, they themselves being an example of this – 2 Timothy 1:8 “So do not be ashamed of the testimony of our Lord, nor of me his prisoner, and partaker of the afflictions of the gospel according to the power God”. – Fathers walk confidently in the calling God has for them – 2 Timothy 1:11 “to which I was appointed a preacher and an apostle and teacher (to the Gentiles)”. 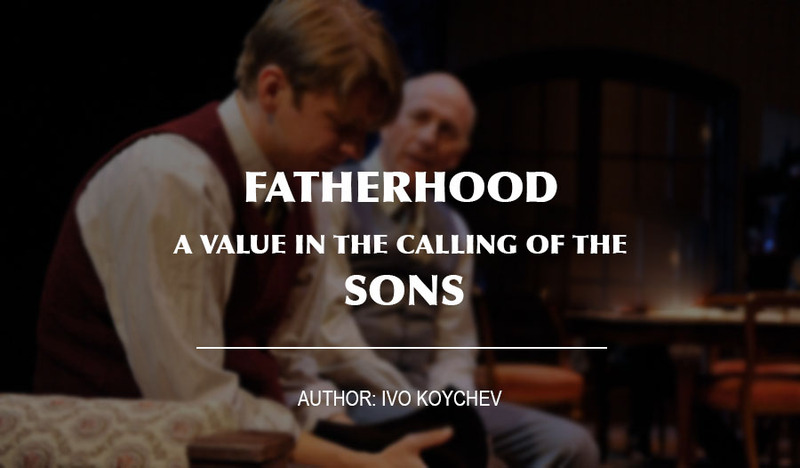 – Fathers provide the model and message to the sons, encouraging them to keep them through the work of the Holy Spirit – 2 Timothy 1:13 “Hold fast the form of sound words which you have heard from me, in faith and love in Christ Jesus”. – As fathers to the sons, so the sons are very attached to their fathers – 2 Timothy 1:4 “…and, remembering your tears, I long to see you, so I can be filled with joy”. – The faith of the sons is not hypocritical – 2 Timothy 1:5 “Because I am reminded of your sincere faith, which was first in your grandmother Lois and in your mother Eunice and, I am confident – in you too”. – Sons receive the spirit and anointing of their fathers – 2 Timothy 1:6-7 “For this reason I remind you to stir up the gift of God which is in you through the laying on of my hands. Because God has not given us a spirit of timidity, but of power, love and a sound mind”. – Sons are not ashamed of the suffering of their fathers – 2 Timothy 1:8 “So do not be ashamed of the testimony of our Lord, nor of me his prisoner, and partaker of the afflictions of the gospel according to the power God”. – Sons accept the message of the fathers, and prosper it in the work in which God has called them – 2 Timothy 1:13-14 “Hold fast the form of sound words which you have heard from me, in faith and love in Christ Jesus. Keep by the Holy Spirit who lives in us the good thing you are responsible for”. The expansion of the kingdom of God will never become real, if we miss the true covenant commitment between spiritual fathers and sons. This is a basic concept through which the spiritual fathers reproduce themselves in the spiritual sons to convey the work of God in their lives and calling. Only true spiritual sons may extend successfully the work and calling of their spiritual fathers, in the next generation. I like what Malachi 4:5-6 says: “Behold, I will send you Elijah the prophet before the great and terrible day of the Lord. And he shall turn the heart of the fathers to the children and the hearts of children to their fathers, lest I come and smite the earth with a curse”. I believe with all my heart that we are to experience a deep inner transformation of heart, which will release a specific dynamics in the prophetic ministry. This dynamics will not only transform the hearts of fathers and sons together, but most importantly it will see the expansion of God’s kingdom in such proportions as we have not yet seen.